The wonderful team out at Milton Employment Office have got together over the months of October and November to do some creative fundraising activities and auctions to raise valuable funds to support our work. 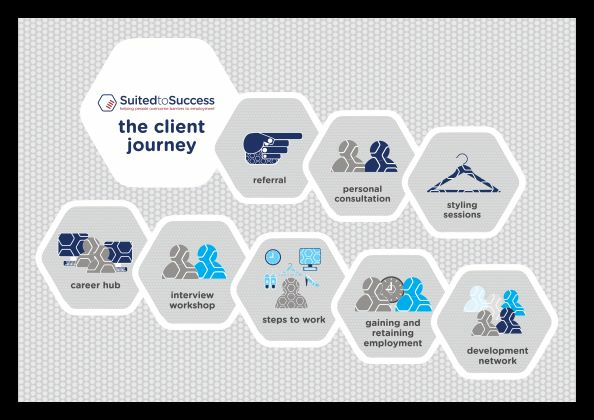 Nicole Hard, General Manger from Suited to Success visited the Employment Office in November to meet the team and Directors in person and share how the Styling program offered can give a client a sense of self-belief and hope for a brighter future. 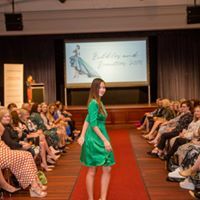 Holly and the team were wonderful supporters really getting to know what would be of most benefit to Suited to Success and our clients and as a result have been able to donate nearly $6,000 in cash. This will go towards supporting nearly 17 clients to access our ‘Transformational Bundle’ giving them clothing and assistance with their resume. 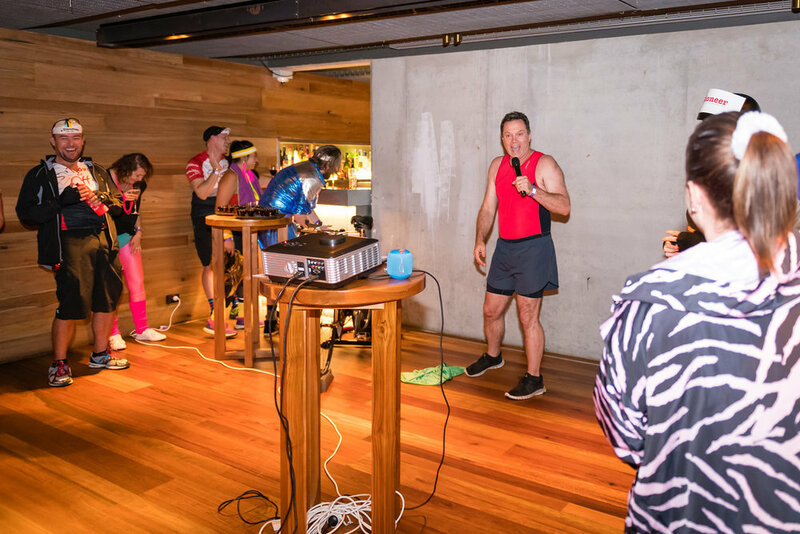 The team got together to wear costumes, wigs, auction items, do bike brekky tours, be on office kitchen duty. One team member going above and beyond in agreeing to have his legs waxed for the sum of $600. The activities were held over a 5 week period and the whole office coming together to support us. Organise an event in your office to raise much needed funds? Suited to Success welcomed Amy Robinson, Partnerships and Communications Manager from The QCF Foundation to Suited to Success for a site tour in November and to witness first hand the impact of their funding and to wrap up this major project on behalf of the Foundation. The QCF Foundation sponsored a major infrastructure project “Meeting Future Needs” which enabled Suited to Success to build a customer relationship management system (CRM Database). The database was build in late 2017 by Beyond CRM and implemented across 2018 with go live in January 2018 and final system roll out completed in November 2018. Amy was able to see the system in operation. A key feature of the new system enables us to easily track and record our clients journey on their path to employment. In particular their increases in self esteem and self confidence. Capturing trends and having the ability to generate reports will enable us to spend less time on administrative functions and more time with our clients inspiring self-belief and hope for a brighter future. This project is so important to us now and also into the future as it will create lasting change. It’s something we can constantly build upon as we grow and expand to reach more clients. 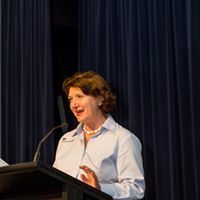 We want to acknowledge the work of Amanda and the team at Beyond CRM who built the system and were a part of the training and roll out phases with ongoing support continuing into 2019. Want to sponsor a major project like the QCF Foundation? Contact us now to get involved on 2019 projects. As Christmas is only just around the corner and we wrap up for another year, I thought I’d share with you our success for this year. Join us for our Summer Sip & Shop (our final event for the year!) where we'll have racks galore of brand new and high quality pre-loved designer clothing as well as shoes and handbags. You'll also be able to shop upstairs in our retail boutique on the night. Suited to Success stylists will be there to help with any styling tips, tricks or advice you may need. We'll also have our fabulous and colourful flower wall for photos - made completely out of pre-loved clothing and scarves. $10 entry includes a glass of wine or sparkling on arrival AND a $10 voucher to spend on the night. All funds raised go towards helping unemployed clients. Book online at suitedtosuccess.org. Tickets available at the door on the night also. 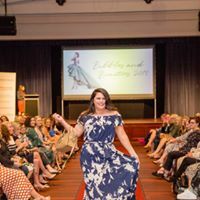 It’s vital that we hold these events so that we can raise valuable funds to help us support our clients so grab your tickets now and shop up a storm. Dylan is currently completing our Steps to Work 1524 program which is a youth focus program aimed at building not only the confidence but the skills to find employment. We have over 70% job outcomes in this program and have supported over 90 youth clients through the program in 2018. As part of the program clients like Dylan receive assistance with resume and interview skills, social media profiles, goals setting, communications and self confidence. Dylan has already had his styling session in our boutique as part of the program. We’ve assisted 50 mature age clients under the Bennelong Foundation program. 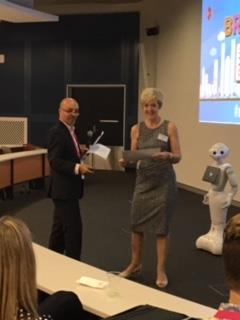 We are thrilled to wrap up the Bennelong Foundation grant program which sponsored 50 mature aged clients through our intensive Steps to Work program. 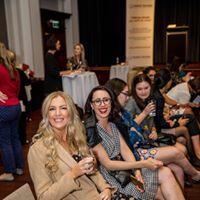 Bennelong provided a significant sponsorship amount of $30,000 towards this program. We were able to provide intensive support with some amazing results and improvements in self esteem and self confidence. Without the support of Foundations and the community we would not be able to continue to support those in need. In 2018 we’ve assisted over 1600 clients with many more in need. If you would like to sponsor a program or client please get in touch with us before the end of the year. Our stylists have been busy with over 150 clients per month coming through our doors. Best of luck Jeannette and we look forward to hearing the outcome and seeing you back in our Boutique for a second outfit when you secure a job. If you would like to sponsor a client go to our get involved page. A $150 donation will dress a client empowering them on their journey. We’ve made some exciting changes to our little retail pre-loved boutique. We are open on Saturday morning and have started to sell some of our casual and designer items on-line. So if you love finding pre-loved casual or designer bargains or know any savvy fashion shoppers keep an eye on our Facebook Instagram suitedtosuccess and Ebay store. All the funds from any sales will go directly into supporting more clients through our programs so please make sure you follow our socials. Make this year’s Melbourne Cup a Race for Success. 🐎As many eyes turn to the Melbourne Cup for 2018, Suited to Success is encouraging people to turn their fun into “fun”draising to help support those facing barriers to employment. This free session was open to clients, volunteers and supporters with all welcome. Guest speaker Nicole Hewitt Donaldson spoke about the topic of Taming Toxic Environments & Emotions. Anyone who has attended one of Nicole’s sessions knows we certainly got a real treat! Content Nicole covered was discussion around how 'toxic' people and places lead to a great deal of anxiety, judgement of others (and self) and leads to a sense of dissatisfaction. Keep an eye on our Events Calendar, The 2019 schedule is currently being planned. Would you like to be a guest speaker or simply attend? Contact us and make sure you are subscribed to our news feed. Thanks Nicole for some amazing content. Find out more about our gest speaker.